Why would I need self storage in Shawnee, KS? There are a variety of reasons why you might need self-storage in Shawnee, KS. How much is a storage unit in Shawnee, KS? The cheapest storage unit in Shawnee, KS is $37.00 per month. What size storage units do you have available in Shawnee, KS? In Shawnee, KS we have sizes that range from 4'x4' to 20'x30' to suit your storage needs. How much is it for a 4'x4' storage unit in Shawnee, KS? The cheapest 4'x4' storage unit in Shawnee, KS is $50.00 per month. Shawnee is a midsize city in the Kansas City metro area, known for its low cost of living, fresh air and easy commute. It's only about 10 miles from Kansas City, so you can easily make the short drive to take advantage of big-city jobs, entertainment and more. Shawnee has earned a spot on Money magazine's "Best Places to Live" list, ranking among the top 20 cities in the nation. In the 1720s, a French explorer stumbled across a Native American village located near present-day Shawnee. The French eventually claimed the land, but lost the Kansas territory to Spain in 1762. The 1803 Louisiana Purchase transferred the area to the United States, and trading posts were established in the area by the 1820s. Pioneers arrived in the 1850s to stake their claims, building homes and farms throughout the area that would eventually become known as Shawneetown. One of the most famous local residents is James Butler, better known as Wild Bill Hickock, who served as the township constable at the young age of 18. 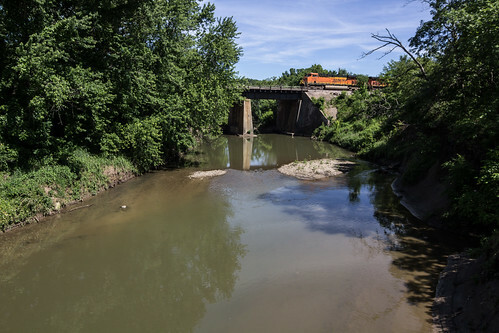 Because Shawnee is so close to Kansas City and many other neighboring communities, it's not uncommon for locals to commute out of town for work. However, there are plenty of job options within Shawnee city limits if you'd prefer to stay close to home. The city's largest employers include FedEx, Bayer Healthcare, EC Manufacturing, Walmart and IBT Inc. Because its major employers stretch across various industries, Shawnee has jobs to fit many different professional backgrounds and interests. Shawnee Mission School District is responsible for the public schools of Shawnee. There are also a few (mostly faith-based) private schools in the community, including campuses affiliated with local Catholic and other Christian churches. Utilities: Shawnee's primary utilities providers include Westar Energy, Johnson County and WaterOne. Garbage and Recycling: The city contracts with private companies to provide curbside collection of trash and recyclables. If you're living in a single-family home, you'll receive disposal cans for trash and recycling. Any trash bag that doesn't fit in your can must have a designated trash sticker placed on it. Transportation: Johnson County operates a public transportation network through Shawnee and many of its neighboring cities. The city also offers specialized paratransit services for seniors and disabled citizens. When you're relocating to Shawnee, there are a number of residential neighborhoods to choose from, including Monticello, Frisbee, Nieman Road and Barkley Drive. As the city has grown, home prices have been rising, and the median home price is currently well above the national and Kansas averages. The Shawnee housing market offers a wide variety of options, including new construction, cozy and affordable ranch-style homes, and spacious, multi-level estates. Our lowest priced units in Shawnee, KS average $51.18 per month. 984 people have reserved units in Shawnee, KS in the past 30 days. There are 17 locations within Shawnee, KS's city limits. There are 7 locations in Shawnee, KS that offer AC and Heating features.